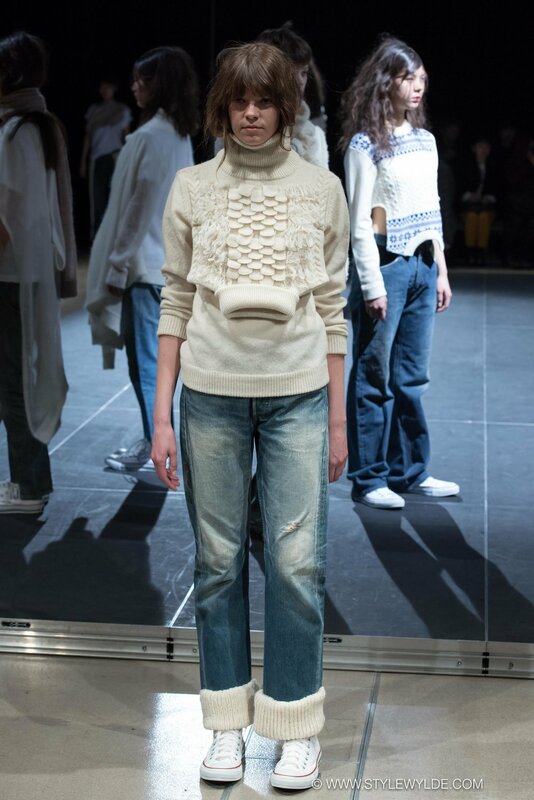 Thick chunky knits that doubled as wearable sculpture highlighted the Motohiro Tanji Fall 2017 collection, which showed on Day 2 of Amazon Fashion Week Tokyo. A soft palette of cream, white, black and cobalt blue brought a cozy feel to the pieces, while lived-in denim brought a casual edge. 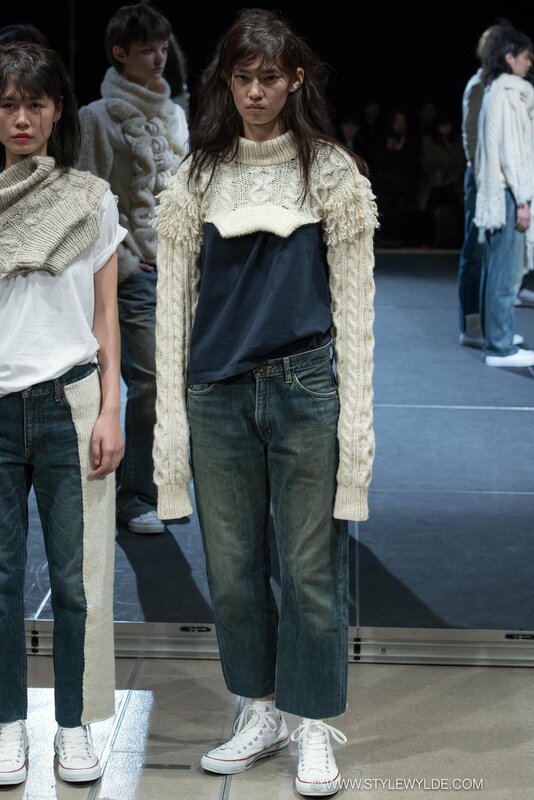 Overall the feel was arty,and avant-garde but still young, fun and crave-worthy.